Salman Khan , who famously bonded with Abhishek Bachchan at Sunny and Anu Dewan's party on December 24, ushered in his 47th birthday in the company of his family and friends on December 26. 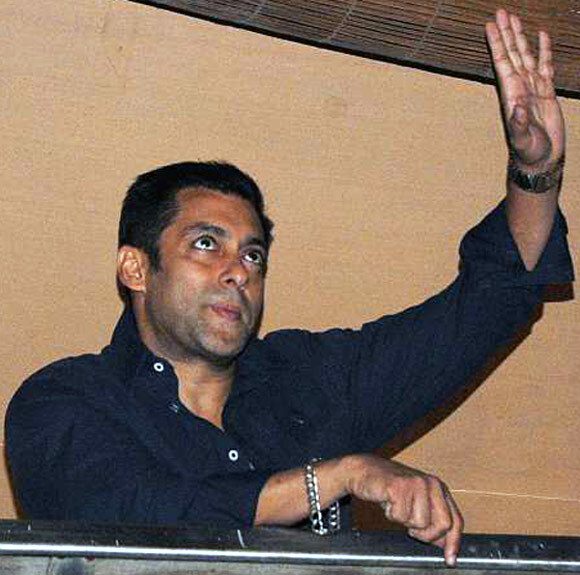 The actor waved to his fans and shutterbugs from the balcony of his residence in Galaxy Apartments, Bandra, a western Mumbai suburb. Bipasha Basu, who's worked with Salman in No Entry and recently made an appearance on Bigg Boss 6 (the popular reality show Salman hosts) to launch her second fitness DVD titled Breakfree, arrived solo at the party. Birthday boy's sister-in-law Malaika Arora Khan prepares to make an entry. 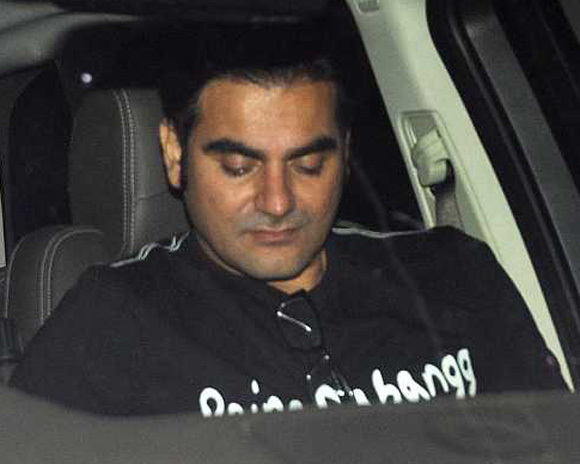 Younger brother Arbaaz Khan was sporting a Being Dabangg tee shirt as he arrived to celebrate Salman's birthday. 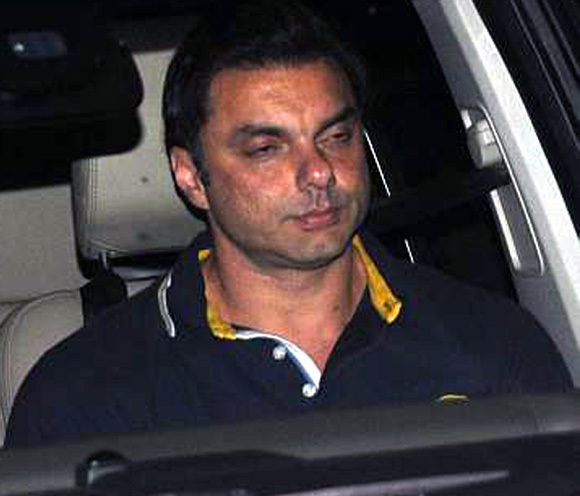 A sleepy-eyed Sohail Khan arrives at Salman's Bandra residence. Sohail's wife Seema Khan was accompanied by their elder son Nirvaan. 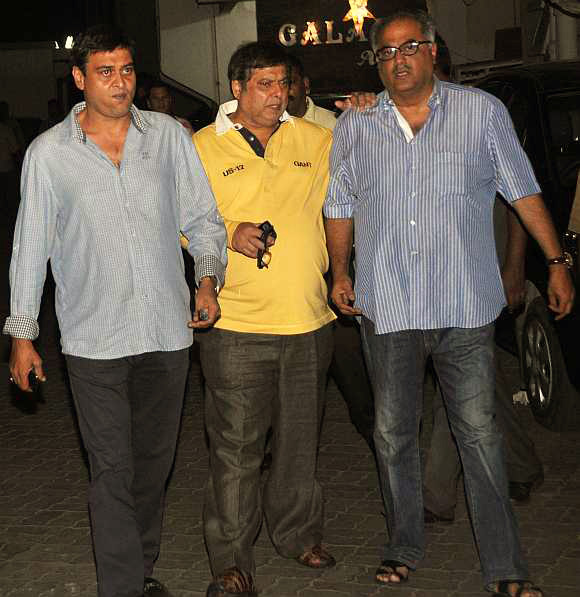 Filmmakers Rumi Jaffrey, David Dhawan and producer Boney Kapoor arrive for the birthday party. Aaprt from directing good friend Salman in his 2008 comedy God Tussi Great Ho, Jaffrey has written several Salman Khan films including Mujhse Shaadi Karogi among others. Salman has also given several hits with David Dhawan and starred in Boney Kapoor's production Wanted in 2009. 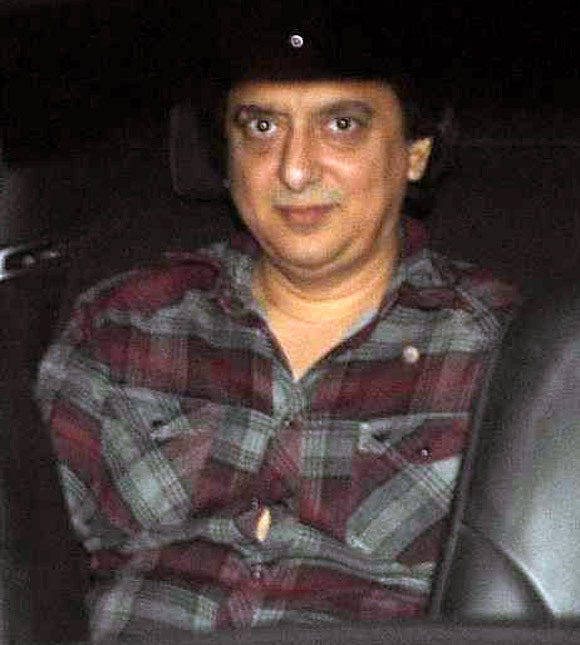 One of Salman's closest friends from the film industry, producer Sajid Nadiadwala also attended the party.